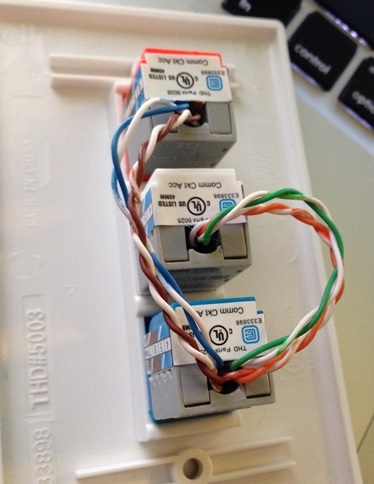 If your lucky enough to have Chanalyzer and a CleanAir capable Access Point, and if your like me and enjoy quality spectrum captures, then this blog post might help you! When I do surveys, I always do a Layer 1 spectrum analysis at several key locations throughout the facility, to ensure there are no major sources of interference etc. You know, survey 101 stuff. If I’m in a hurry I’ll use my Wi-Spy DBx, but it lacks in clarity and precision/quality etc. The fix for this is to use the CleanAir Chanalyzer feature and connect to a Cisco CleanAir capable Access Point. It then uses the on-board Cognio chipset to perform the spectrum analysis, resulting in much higher quality captures. See this previous blog post by Sam Clements on the nuts and bolts of how it works. *Note – If the AP is in Local Mode, you’ll only see the channel its running on. You’ll need to change it to SE-Connect Mode if its Lightweight to get all channels to show up. If your onsite trying to perform the spectrum analysis, your AP is most likely powered by the battery you brought. This means that the only way you can connect to it is over one of its radio connections, which means you can only do a spectrum analysis on the other radio that your not using. So one radio at a time. Gross. First you have to put the radio your not using into spectrum mode, and after doing so you’ll have to reboot the AP (required to get the NSI Key). Rinse repeat this when you need to swap to the other radio and your now looking at ~10 minutes of just configuring and rebooting, not to mention the minimum 5 minutes you should be doing for the actual spectrum capture. *Note – Instructions below for how to place AP into Spectrum Mode. Autonomous Code 15.2 or higher required to place AP into spectrum mode. The solution for this is to insert the ‘Spectrum Box’ in between your AP and battery, allowing you to maintain data/power to the AP, but also plug in your laptop via CAT6 so that you can connect to the AP over the wire and have both radios in spectrum mode at the same time! I found this junction box and Ethernet adapters all at Home Depot, and you can use any Ethernet cable your willing to sacrifice. Total cost maybe 10 bucks?